Pay Off Your Outstanding Property Taxes in Austin in As Little As 3 Days! I need help paying my property taxes in Austin, TX. How is Direct Tax Loan able to assist me? It is our job to work with you and the local tax authority so that you can pay back all delinquent taxes. Our friendly staff will help you find an affordable monthly payment plan to repay your property tax loan. But in order to be eligible for a loan, you must be a homeowner 18 years of age or older, have delinquent property and real estate taxes and not have gone bankrupt. As a homeowner in Austin, TX, how expensive is a property tax loan with Direct Tax Loan? Well, compared to hiring a property tax attorney, Direct Tax Loan is a very reasonably-priced option. We don’t charge you extra fees or even a deposit. As a reputable property tax lender regulated by the state government, Direct Tax Loan only charges the costs included in the loan, depending on certain factors such as the time you need to pay us back and the type of property you own. How quickly can I get my property tax loan in Austin, TX? Once you fill out an application, it usually takes no more than 72 hours for us to approve your loan. If all goes well, those outstanding property taxes you owe will be paid within a period not exceeding ten days. In the great state of Texas, you are required to pay your property taxes by January 31st. Failure to do so will be very costly for you. First off, your tax bill will increase along with the interest. To give you an example; should you not pay your taxes by the due date, by February fees and interest will increase my 7.0%. Continue to ignore your tax obligations and by years’ end just the additional charges alone on your tax will go up as high as 47%. If this isn’t enough of a headache to contend with, the county tax office can initiate a lawsuit against you and start foreclosure proceedings. 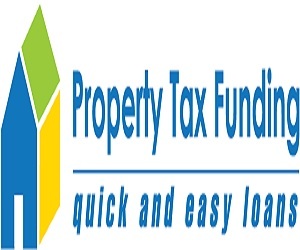 Direct Tax Loans will help you to finance your property taxes. With our help, you’ll get them paid off. Perhaps getting a property tax loan isn’t the right option for you. If, for instance, you are disabled or over the age of 65, you could check with the county tax office to see whether you’re eligible for a tax deferral. If you decide to go with Direct Tax Loan, we will assist you with working out a plan to pay back overdue property tax payments before you’re subject to more penalties or foreclosure. The whole point of this exercise is to avoid foreclosure. When you get a property tax loan, a lien is placed against your home. This is a security measure. If you do not pay back your loan, this lien allows Direct Tax Loan to foreclose on your home. We really don’t like doing this, but sometimes there is no other option. This is a loan, not a grant so it must be paid back. Why take out a property tax loan? Once this loan is in place, the tax collector cannot issue additional penalties or interest that will increase the amount of delinquent taxes you already owe. When you seek help from Direct Tax Loan, there is no down payment, credit or background checks or even a house inspection. Everything is done is the span of a week. Don’t wait until you are hit with a lawsuit or foreclosure. Get in touch with us today! We service all of our loans. Meaning we collect all owed payments and provide the customer with statements. Any information you need you can get from us. We’re all about convenience. To save you more hassle, each time you call, you’ll get to speak to the same member of our staff. Your account information will be kept confidential. Let’s work together to set up a plan that works for you. We design a payment plan tailor-made to meet your individual needs. Our plans are customized to suit the needs of each customer. Also, we work with our clients to rearrange property tax money that’s due besides the loan. Being late on overdue taxes just gets you in deeper. Avoid this quagmire and contact us now! No doubt you’re hesitant to call us now because you’re worried about your credit score. Well, take heart because bad credit isn’t a problem for us. We don’t check your credit rating so there’s no worry about not getting approved for a property tax loan. In fact, almost all applicants get approved regardless of what their credit rating is. It is our mandate to make getting a loan as easy as possible to quality for. Don’t be intimidated. Call us today! This is a complimentary service. In order to be approved for a property tax loan, you must have title to the property. Sometimes, people don’t have title for various reasons including whoever they inherited the property from dies without leaving a will or if a separated couple didn’t file for divorce. Of perhaps the county clerk’s office no longer has a copy of the original sale of purchase. If you are having difficulties in this area, Direct Tax Loan will help you to clear your title so you can repay outstanding property taxes. You need help paying off your delinquent property taxes but you can’t afford to spend a grand sum of dough to hire an expert. Well, you’ve come to the right place. With Direct Tax Loan, you save money on the application fee and don’t have to pay any other expenses. There isn’t even a down payment. The only expenses you pay are those already in your loan. You get a bargain when you get Direct Tax Loan to help you. It’s definitely worth it. You won’t have to wait forever to get approved for a loan with Direct Tax Loan. We work fast and you should be pre-approved within two business days. It will take another day to review and get the application accepted so you can get that property tax loan. All in all, three days isn’t too long. With some companies, you’ll be waiting weeks or even months. We’re the fastest game in town. There is currently a lot of talk in Austin TX concerning property taxes and when they are due. However, due to unavoidable circumstances, some families are finding it problematic to pay their property taxes on time therefore risking penalties and fines. The good news is that if you are unable to make the ends meet and pay your tax bill, you can turn to a property tax lender for the sum required. Direct Tax Loan is property tax lender in Austin TX that helps those in need by providing the necessary funds to clear their tax arrears. Property tax loans are readily available for various property types such as commercial and residential properties. If you are facing property foreclosure due to your property tax burden, then a property loan can be the one to save you. This type loan is usually quite straightforward and easily attainable. 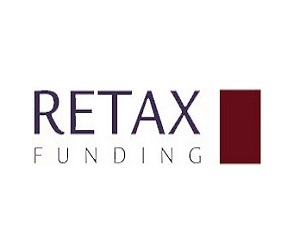 If you need to access a property tax loan, get in touch with us today and we’ll help you out. Once your property tax has been payed off, you can now focus on repaying the loan using our simple and flexible payment plans. 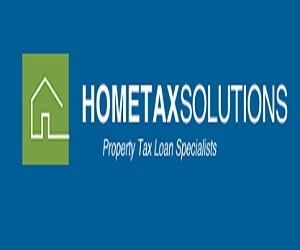 Home Tax Solutions will help you to pay your delinquent property taxes. As one of the largest property tax loan companies in Austin, we work with homeowners and business owners. Even though the economy is slowly sputtering back to life, thousands of Texans struggling to get by often cannot pay their property taxes. The last thing you want is a lien placed against your property. Avoid this unpleasant process and come see us about getting a property tax loan. Home Tax Solutions will pay those outstanding taxes. The repayment process is not burdensome and you can make low monthly payments. If you are experiencing financial difficulties and are unable to come up with the funds to pay your property taxes, you know how stressful the feeling is. Being behind on residential or commercial property taxes is an extra burden you don’t need. If you want to avoid delinquent property tax fees or even foreclosure, you need to get a property tax loan. 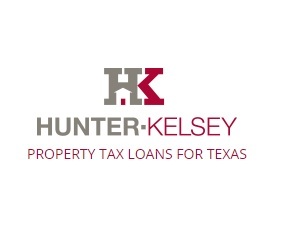 Hunter-Kelsey is one of the oldest property tax loan companies in Austin. We have strong roots in the Texas capital. We will pay your taxes quickly. All you need to do is pay us back over time. It’s a very simple process. Call us today! Sometimes we’re too overwhelmed with bills to be able to pay our property taxes. And in this tough economy, it’s happening more and more. If you are struggling and unable to pay those due Texas property taxes right now, don’t fret, call Property Tax Funding to see if you quality for a property tax loan. Each year, we help thousands of folks in the Austin area to pay their property taxes. The process is simple, taking no more than five minutes. After your completed loan has been reviewed, our professionals will confirm property ownership, figure out exactly how much money is due and finally, prepare the essential documents. There are many property tax loan companies in Austin, but none that offer service equal to ours. For decades, Retax Funding has worked with homeowners like you who are struggling to make ends meet and have found themselves behind on Texas property taxes. Falling behind on your property taxes is no small affair. The risk of incurring late penalties – not to mention foreclosure – hangs over your head and just won’t go away. We do not want this to happen to you. Our loans are serviced. We will pay your delinquent taxes for you. You are responsible for paying back the loan. It’s a simple, straightforward process, nothing to be frustrated about. 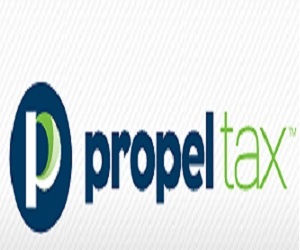 Propel Tax offers the most efficient property tax loans in Austin. In these tough economic times, it’s easy to get behind on your bills and property taxes. Hey, we understand. If you are short on funds and need a quick loan, let us help you out. Every client’s situation is different. We work daily with homeowners, real estate investors, businesses and large companies. It isn’t fun being behind on your taxes, especially with the risk of potential interest penalties and even foreclosure. You won’t find better service in Austin.